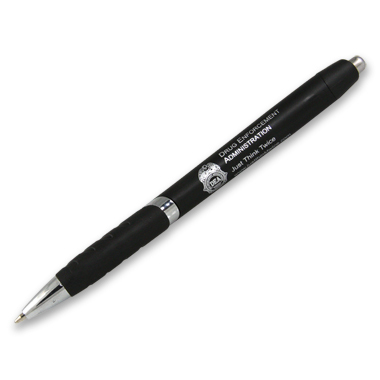 A great pen at an affordable price. A satin finish barrel with a rubber grip and black ballpoint ink. Includes the Just Think Twice message.